Silver Bells! Free Kindle Version of SILVER Anthology 12/12-12/16/16 – Happy Holidays! 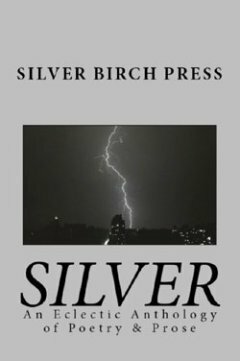 To celebrate the holiday season, we’re offering a free Kindle version of the Silver Birch Press Silver Anthology – available Monday, 12/12 through Friday, 12/16/16 at Amazon.com. (If you don’t have a Kindle device, you can still read the book — with free reading apps, available at this link.) If you are in the UK, try Amazon.co.uk. The free offer also appears on all the international Amazon sites. The Silver Birch Press Silver Anthology is a 240-page collection of poetry, essays, short stories, novel excerpts, and stage play scenes from 62 accomplished and up-and-coming authors in the United States and United Kingdom. The writing ranges in style and subject matter — but all the work touches on “silver” in a variety of creative, original, and compelling ways. I woke up at two in the morning. and you didn’t know I was watching you. that’s just exactly how I felt. ABOUT THE AUTHOR: John Brantingham’s poetry and fiction have been published in hundreds of magazines and venues, including Garrison Keillor’s Writer’s Almanac, PEARL, Tears in the Fence, Confrontation, and The Journal. His books include East of Los Angeles and The Green of Sunset. He works at Mt. San Antonio College, where he teaches English and directs the creative writing programs. “How I Felt” appears, along with other poetry by John Brantingham, in the Silver Birch Press Silver Anthology – a collection of writing from 62 authors that centers around a “silver” theme. The 240-page book is available in paperback and Kindle versions at Amazon.com. “Exhaling Winter” by Diane Eagle Kataoka appears in the Silver Birch Press Silver Anthology — a 240-page collection of poetry, short stories, novel excerpts, stage play scenes, and essays from 62 accomplished and up-and-coming authors in the U.S. and U.K. — available at Amazon.com. ABOUT THE AUTHOR: Diane Eagle Kataoka lives at eight thousand feet in the Eastern Sierra, where she skis and hikes. A researcher for the late Leon Uris (Trinity and The Haj), she was director of marketing and communications for the Music Academy of the West, as well as editor-in-chief of the Mammoth Times and Mammoth Sierra Magazine. She is currently a freelance writer and editor, poet and blogger. (Visit her blog at mammothlakesview.com.) Diane’s chapbook Snow Globe,published by Two Birds Press, is a poetic history of five seasons in a mountain ski town. Originally published in L.A. Weekly, 2/10/12, ALL RIGHTS RESERVED. Reprinted in the Silver Birch Press Silver Anthology (November 2012), available at Amazon.com. On Monday, 11/11/13, download a FREE Kindle version of the Silver Birch Press Silver Anthology – a 240-page collection of poetry & prose from over 60 established and up-and-coming writers in the United States and United Kingdom. 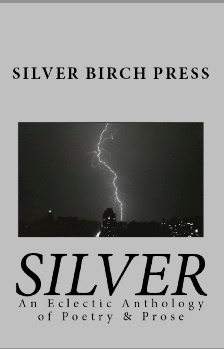 Get your free Kindle version of the Silver Birch Press Silver Anthology at Amazon.com. If you are in the UK, find at Amazon.co.uk. Other countries, check your local Amazon site — the Kindle version is available for free there, too. Until Monday, 11/11/13, get a FREE Kindle version of the Silver Birch Press Silver Anthology – a 240-page collection of poetry & prose from over 60 established and up-and-coming writers in the United States and United Kingdom. Through 11/11/13, get your free Kindle version of the Silver Birch Press Silver Anthology at Amazon.com. We’re celebrating the first anniversary of the Silver Birch Press Silver Anthology (Silver Birch Press, November 2012) with a free gift — and feel free to spread the word. If you don’t have a Kindle, no worries — download free reading apps at this link. Mystic fog clung to air like film over eyes. 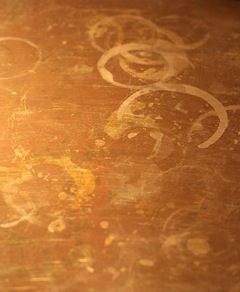 which created dusty pyramids reflecting nothingness. a view of world one step back. and darkness, the uncertainty, reveals light. ABOUT THE AUTHOR: Dale Sprowl teaches writing at Biola University in La Mirada, California. During summers, she administrates and teaches at the Young Writer’s Project at UCI. Her work with the UCI Writing Project began in 1981, and she has contributed to the UCIWP texts on the teaching of writing. Her first chapbook of poems, The Colors of Water, published by Finishing Line Press in 2007, and her second chapbook, Moon Over Continent’s Edge (2009) have been nominated for a California Book Award. Her poems have also appeared in PEARL, Fire, A New Song, Ancient Paths, and Knowing Stones: Poems of Exotic Places. “Foggy November” by Dale Sprowl appears in the Silver Birch Press Silver Anthology — available in a Kindle version at Amazon.com. The book, which features the work of 62 authors from the U.S. and U.K., is also available in paperback.